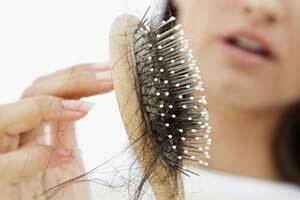 USA: In a meta-analysis and systematic review some studies have reported that finasteride may improve hair loss in women with female pattern hair loss or frontal fibrosing alopecia. Treatment with finasteride may also be effective for female patients with hirsutism or polycystic ovarian syndrome. The systematic review has been published in the International Journal of Dermatology. Finasteride is currently approved by the Food and Drug Administration for the treatment of benign prostatic hyperplasia and androgenetic alopecia in men. However, its off-label use has become more common in women for the treatment of hirsutism and alopecia. To better understand its use and efficacy in female patients population, Natasha A. Mesinkovska, Department of Dermatology, University of California, Irvine, Irvine, CA, USA, and colleagues conducted a literature search of studies involving finasteride use in women. The analysis included sixty-five studies with a total of 2683 female patients. Most randomized controlled trials (RCTs) evaluated finasteride use in women with hirsutism (48.7%) or female pattern hair loss (34.7%). Most randomized controlled trials (RCTs) evaluated finasteride use in women with hirsutism (48.7%) or female pattern hair loss (34.7%). Recommendations from RCTs indicated that treatment may be effective in female patients with hirsutism or polycystic ovarian syndrome. Other forms of hair loss were studied such as alopecia, lichen planopilaris, and frontal fibrosing alopecia, but no RCTs evaluating finasteride therapy were identified. Other prospective and retrospective studies report that finasteride may improve hair loss in women with female pattern hair loss or frontal fibrosing alopecia. Among these studies, the dosing of oral finasteride ranged from 0.5mg to 5mg per day in patients 6 to 88 years old. Treatment duration ranged from 6–12 months (57.6%); monotherapy (88.9%) and continuous use (96.4%) were the most common treatment characteristics.